Bar, nightclub and restaurant operators, managers, bartenders and other staff members have a lot to keep tabs on. From every day operations tasks to new product releases to spirit, beer, wine, cocktail and food trends, keeping on top of bar and nightlife news each week can be a project in and of itself. That’s where we come in. To make things that much easier for you we’ve put together a detailed rundown of what happened this week that you should know. You need to know what international products are finally being distributed throughout America, what innovations are being made in glassware and bar and kitchen products, what and when music streaming services are featuring a new album, and so much more. In life, knowledge is power. In this business, knowledge is dollars. Consumers and bartenders alike have become increasingly interested in Cachaça. One of the best known producers is Novo Fogo. Beloved for both their commitment to sustainability and their ceaseless innovation, the small but impactful Brazilian brand has been making a name for themselves by releasing intriguing special editions. The latest special offering is Novo Fogo Colibri, which is the Portuguese word for “hummingbird,” and was released this past Monday. 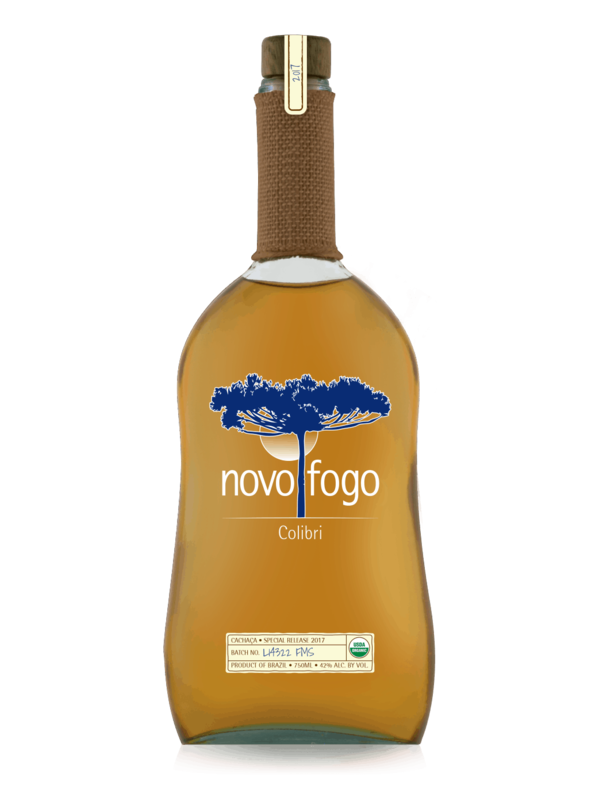 Colibri is an expression of cachaça that was created by moving the liquid back and forth between repurposed oak barrels and Brazilian teak (amburana) barrels. The oak imparted flavors of vanilla and toffee, the amburana delivered cinnamon and chestnut flavors, and maturation helped develop notes of banana, passion fruit and snickerdoodle.